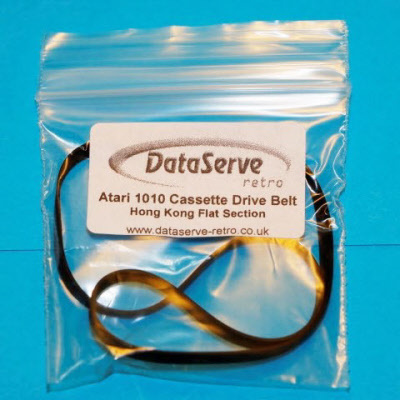 The cause of poor loading performance from the Atari 1010 Cassette unit is often a perishing drive belt becoming slack, or more commonly kinked where it has sat without moving around the drive pulley for 30 years or so. This kink then becomes a permanent feature of the belt causing it to jump and slip. These belts are of identical design and size to the originals but made from modern, more resilient materials. 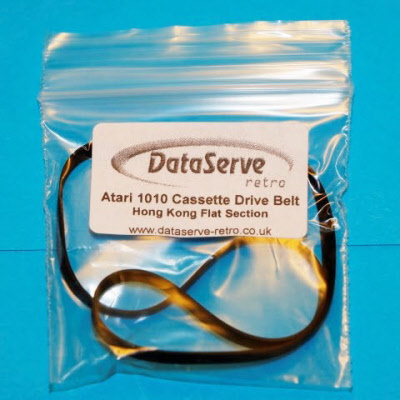 This belt is suitable for the Hong Kong made Atari 1010 which uses a "flat section" belt (the most common) - please check your unit before ordering. It is not suitable for the Hong Kong made unit which uses the "square section belt", or the Singapore made unit..